Way back in 1938, Earl Tupper figured out a new way to store food, in plastic. His stuff was a hard uphill slog to success until Brownie Wise fell in love with a piece of Tupperware and went to work for Tupper in 1946 and Tupperware was truly launched. In 1946, the world was changing fast, the war was over and women were looking for new products as the atomic age approached. 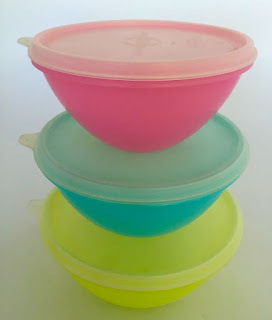 Enter Brownie's concept of the Tupperware “Party”, the great grandma of direct marketing that is still working today with a Tupperware party taking place every two seconds around the world.